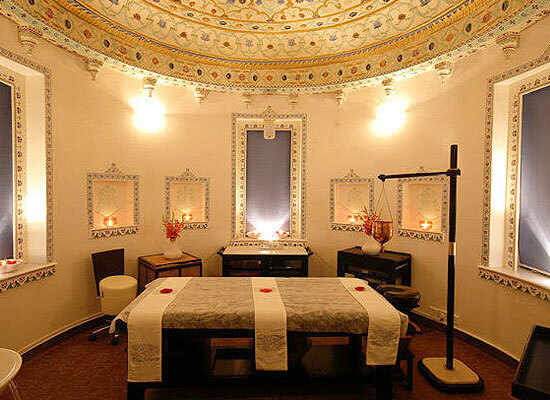 "One of the most well-known heritage hotels in India, Jagmandir Island Palace is a 17th historic structure that has been converted into a heritage hotel, adorned with every modern world-class facility. Perfect for both leisure and corporate travelers, it is a perfect blend of modern facilities, impeccable hospitality and a traditional royal setting. It has been an accommodation option of several celebrities from all around the globe. Jag Mandir palace was erected on an island in the Lake Pichola, Udaipur and thus is also called the ‘Lake Garden Palace’. The construction of the palace had taken place under 3 Maharanas of the Sisodia Rajputs of the Mewar kingdom. The construction was commissioned by Maharana Amar Singh in 1551, continued by Maharana Karan Singh (1620–1628) and in the end, concluded by Maharana Jagat Singh I (1628–1652), after whom the palace is named. The summer resort of the royal family, it was also the venue for grand parties. In 1623, the palace was the refuge asylum for the Mughal Prince Khurram when he stayed at the Gol Mahal. 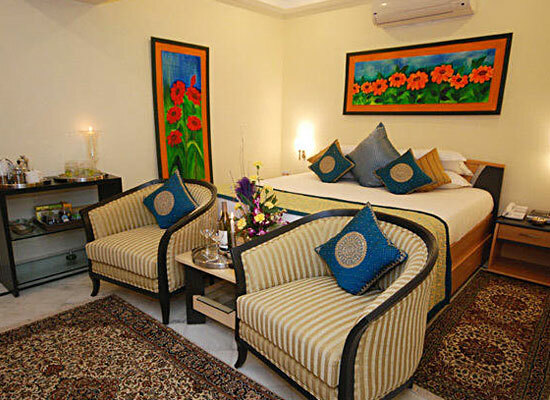 Jagmandir Island hotel offers accommodation to its guests in their 7 spacious and ultra-luxurious suites. 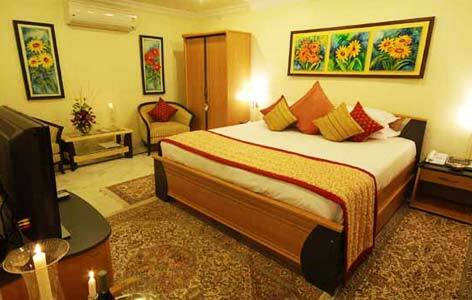 You can have a memorable stay while enjoying all kinds of modern facilities. The décor is inspired from the royal opulence while the furniture is antique. The list of services and amenities is long too including a plush attached bathroom, Satellite TV, AC, telephone, room services to name a few. 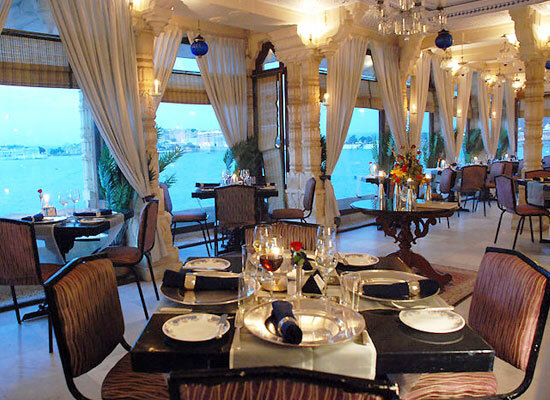 At the on-site Darikhana multi-cuisine air-conditioned colonnaded restaurant of Jagmandir Island Palace in Udaipur, savor a variety of Indian and international dishes. During the evenings, there is a diverse a la carte menu option. Do not miss the specialty of the restaurant- the four-course dinner. The well-stocked Picholi Bar, located in the Barah Pathoron ka Mahal or the Palace of Twelve Stones, gets its name from the oldest settlement on the banks of the Lake Pichola, which is the village Picholi. Enjoy your favorite drink while admiring the amazing views of the City Palace Complex and the Lake. Famous as the ‘City of Lakes’, Udaipur is one of the most known cities of the royal Rajasthan. Nestled in the Aravali ranges, sprinkled with beautiful lakes and gardens, the city was once the capital state of the Mewar Kingdom. Udaipur is also known as the ‘Venice of the East and the ‘Most Romantic City of India’.